12 families of bacteria that pose the greatest threat to human health published by WHO. As part of the WHO’s efforts to address the increase in antibiotic-resistant bacteria, the agency created the list in an effort to encourage governments to put policies in place that incentivize basic science and advanced research and development (R&D) by publicly funded agencies as well as by the private sector that’s investing in new antibiotic development, according to a WHO press release. The agency catalogued 12 families of “priority pathogens” that pose the greatest threat, and divided them into 3 categories––critical, high, and medium priority––based on the urgency of need for new antibiotics. Multidrug-resistant bacteria are ranked in the most critical group, and they pose a threat particularly to hospitals, nursing homes, and patients who require devices such as ventilators and blood catheters, according to the release. The critical priority group includes Acinetobacter, Pseudomonas, and various Enterobacteriaceae, such as Klebsiella, E. coli, Serratia, and Proteus, which can cause severe and often deadly infections. Carbapenems and third-generation cephalosporin are the best available antibiotics for treating multidrug-resistant bacteria; however, these bacteria have become resistant to many antibiotics, including carbapenems and cephalosporin. 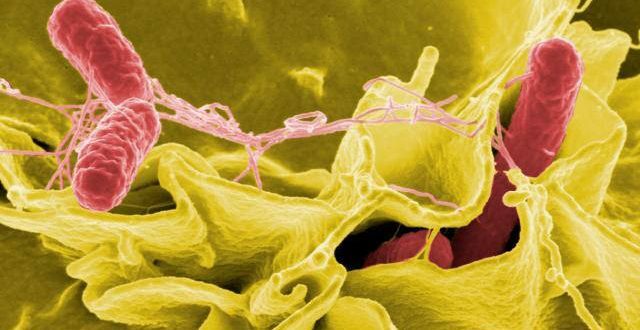 The high and medium priority categories contain other increasingly drug-resistant bacteria that cause common diseases such as gonorrhea and food poisoning due to salmonella, according to the WHO. G20 health experts plan to meet in Berlin to discuss antibiotic resistance. The list is intended to provide guidance to new R&D initiatives, such as the WHO’s Drugs for Neglected Diseases initiative (DNDi) Global Antibiotic R&D, which is engaged in nonprofit antibiotic developments. Left off of the list was tuberculosis––whose resistance has been growing in recent years––because it is targeted by other programs. Additionally, streptococcus A and B and chlamydia, were also excluded from the list because they have low levels of resistance to existing treatments and do not currently pose a significant threat to public health, the release stated. The list was developed in collaboration with the Division of Infectious Diseases at the University of Tübingen, Germany, using a multicriteria decision analysis technique vetted by a group of international experts, according to the release. The criteria for the list selection were how deadly the infections caused by the pathogens are; whether treatment requires long hospital stays; how frequent resistance to existing antibiotics are; how easily they spread between animals, from animals to humans, and from person to person; whether they can be prevented (eg, through good hygiene and vaccination); how many treatment options remain; and whether new antibiotics to treat them are already in the R&D pipeline.